CAKE Amsterdam: CAKE Amsterdam SATURDAY BAKE SALE! CAKE Amsterdam SATURDAY BAKE SALE! 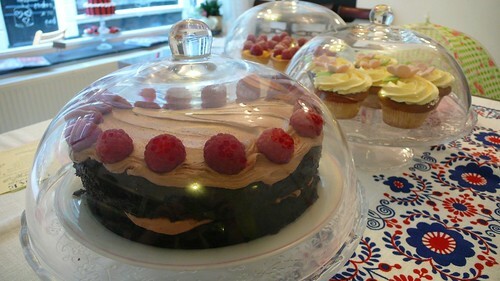 Bake Sale Chocolate Cake, a photo by CAKE Amsterdam - Cakes by ZOBOT on Flickr. See what you missed last Saturday!?! We'll you be glad to know that I was NEARLY sold out by the end of the day! So I thankfully didn't have to eat too many leftovers.